Older PostCircuit Training? = Fat loss? If you haven’t heard of creatine before this, you’ve been living under a damn large rock. Since creatine was first introduced in the early 90s, it has been the “poster boy” for the athletic community, and it’s not going away anytime soon.Creatine has been in the news, on the cover of almost every health magazine imaginable and even on TV. Ask strength coaches and trainers to name the best supplement for increasing size and strength, and they will cite creatine. Despite the hype, many are confused as to what it does, how it works, its safety, and why they should use it. Take partial or inaccurate information, add some half-baked, misrepresented statements that get plastered in the news, and you have people scratching their heads. One guy asked me, “Is that steroid, creatine, any good?” Creatine, of course, is not a steroid. I could fill a book about creatine’s effects, but I prefer to present this product to you in an understandable manner. Most people know creatine only as a supplement that athletes use, but as you will see later in this article, there are numerous other uses for this breakthrough product. Creatine, also known as methyl guanidine-acetic acid [NH2 – C(NH) – NCH2(COOH) – CH3], is an amino acid used by the body to provide energy. Phosphocreatine and free creatine, which are stored in the body, make up what is known as your total creatine pool. (5) Those who increase their total creatine pool are able to increase available energy. Scientists discovered in 1932 that the body retained some ingested creatine,(5) but it was not until the early 1990s that creatine began to gain recognition with the athletic community. Creatine helps volumize muscle (makes muscles larger), increases strength and power, provides energy to the muscles and buffers lactic acid. Oh yeah – creatine may also prevent mental fatigue, help with genital herpes, lower the risk of coronary heart or cerebrovascular disease, and has been linked with a decreased risk in some neurodegenerative diseases, such as Alzheimer’s. Yes, those are a lot of claims, and yes, creatine fulfills all of them. Creatine is a naturally occurring substance in our bodies; the average person stores over 100 grams of it. Ninety-five percent of creatine is stored in the skeletal muscles, with the other five percent in the brain, heart and testes. (Sorry guys, it won’t make your boys bigger. )(5) Creatine is formed when our kidneys, liver and pancreas convert three amino acids – Arginine, Glycine and Methionine – into creatine. We can get additional (albeit miniscule amounts) of creatine from our diets through such foods as red meat and salmon. Since you would need to eat almost 18 steaks to get 20 grams of creatine, the more effective way to increase its presence is to use a high quality commercial supplement. When you consume creatine, it combines with phosphate in your body to create phosphocreatine, which in turn is stored in your muscle cells, waiting to be called upon for energy. When your muscles are exposed to short but intense exercise (0-30 seconds), you call upon your alactic system (otherwise known as phosphogen, or ATP-PC system) to complete the work. When you expose your muscles to this short, intense exercise, your muscles require a chemical energy called ATP (Adenosine Triphosphate), the quickest and best source of energy for your muscles. (6) Unfortunately, ATP is in very short supply in your muscles. (7) When you run out of ATP, you run out of gas. This is where creatine comes in. When your body uses ATP for energy, it creates a by-product called ADP (Adenosine Diphosphate), which is useless to our body. Fortunately, the phosphocreatine stored in your muscles allows your body to convert the ADP back into ATP and be used for energy. (6) (7) So, to make a long story short, by increasing the amount of creatine you consume, you increase the amount of phosphocreatine in your muscles, which elevates the amount of ATP you have available for muscular energy. The increased level of ATP, in turn, allows you to increase your workload and sustain it over a longer period of time. (6) (8) Essentially, creatine helps you either lift heavier weight, complete more reps, or both. This elevated work capacity results in an increased ability to develop lean muscle tissue. Because creatine offers an increased capacity for short bursts of energy, athletes in football, hockey, baseball, sprinting, bodybuilding, basketball, or any other sport that requires quick but substantial bursts of energy, benefit from this supplement. As virtually every sport (except maybe lawn bowling) requires athletes to have high levels of strength and muscularity, creatine becomes a viable supplement. I recommend making creatine part of your supplement routine throughout the year. At the very least, use it during the off season, when building strength is a priority. 1. ATP (Adenosine Triphosphate) is your best source of muscular energy. 2. When you exercise, your body uses ATP for energy, leaving behind a useless byproduct ADP (Adenosine Diphosphate). Your body has a limited supply of ATP; when it runs out, it leaves your muscles with no available energy. 3. Creatine combines with phosphate in your body to create phosphocreatine. There you have it. If you want to grow up big and strong, eat your Wheaties and your creatine! Creatine attracts water, so as your muscles absorb and store creatine, it brings additional water with it. This process super-saturates the muscle tissue with water and creatine, thus enlarging the actual muscle tissue. This super-saturation results in your muscles having that “just trained feeling” all day long. Many refer to this as the “perpetual pump” from creatine. Larger muscles in a matter of days: Can you believe some people refer to this phenomenon as a “side effect” of creatine? Indeed, many people take creatine for this “side effect” alone! 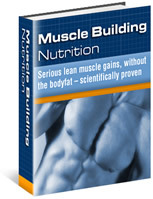 When you first start to take this supplement, it is common to gain a few pounds of muscle. Typical gains are three to five pounds, up to ten being possible, all in a week to ten days – thanks to this super-saturation. The additional weight gain in your muscles is good news, because every extra pound of functional muscle means you will burn additional calories…even while you are resting. Lactic acid. I guarantee for those of you who don’t know what lactic acid is, you have felt it before. The easiest way to describe lactic acid is the unbelievable burning you get in your muscle when completing a task over a longer period of time. Still not sure? Stand up and raise and lower yourself on your toes (calf raise). Do this exercise as fast as you can over and over until it feels like somebody is injecting boiling water into your calf muscles…that’s lactic acid. When performing tasks longer in duration you call upon the lactic system (also called the glycolytic system) for energy. Performing this type of task increases the amount of lactate (hydrogen ions) in the muscle. When lactate levels become too high, the pH of the cells drops to the point where you can not achieve muscle contraction.2 As stored phosphocreatine is broken down it combines with ADP (Adenosine Diphosphate) and hydrogen ions to replenish ATP (adenosine triphosphate). This reaction decreases the pH in the cells, thereby buffering the burning sensation known as lactic acid. 2 I think you would agree that a product that could help prevent this pain would of significant value. Furthermore, by buffering lactic acid, you are essentially increasing work capacity by prolonging the point of physical failure. Getting knocked in the melon is never fun, trust me; I have had my share of crushing blows to the head. Every year 1.5 million people in the United States experience a traumatic brain injury (TBI) as a result of motor vehicle accidents, violence (mostly angry girlfriends…just kidding! ), falls, and sports-related activities. 17 Out of the 1.5 million brain injuries, a staggering 300,000 injuries are a result of sports or physical activity. Furthermore, 50,000 people will die and 80,000 people will experience long term disabilities as a result of TBI. 18 Athletes are more likely to receive TBI from sports such as, football, hockey, boxing and other contact sports (i.e. Jell-O-wrestling). However, you are less likely to experience TBI while lawn bowling. The most common TBI experienced in sports is a concussion, resulting from your brain bouncing around inside your skull. Initial symptoms of concussion include headache, dizziness, and nausea. Postponed symptoms of concussion, which may occur several days after the initial incident, include headache, ringing in the ears, memory problems, lightheadedness, and irritability. With 300,000 TBI per year resulting from sports or physical activity, athletes may greatly reduce their risk of long term brain damage from regular supplementation of creatine. Athletes such as, boxers, football players, and hockey players all repeatedly put themselves in the direct path of a concussion. Reducing the brain damage of these concussions by 50% may have profound effects, including: extending careers and allowing athletes lead a “normal” life (i.e. No drooling, chronic shaking, or memory loss) after having their head smacked around. If you are currently involved in sports that put you at risk of TBI, I strongly recommend supplementing your diet with a high quality creatine supplement. Although creatine can reduce long term brain damage from TBI if somebody dares you to put your head through a wall, trust me, you are going to the hospital, creatine or no creatine. 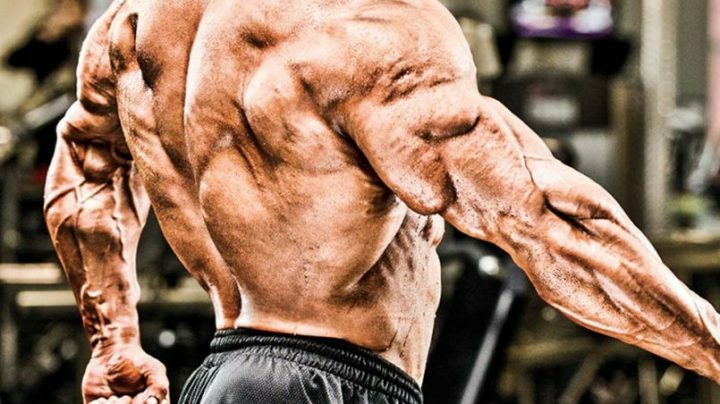 There is no doubt that creatine is good for building bigger, stronger muscles. However, it’s apparently equally as good for one of your most important organs as well. Yeah, I know that organ’s important too, but I’m talking about your brain. In a study at the University of Tokyo researchers found that eight grams of creatine a day over five days reduced mental fatigue.7 Maybe that’s why all of those superstar college athletes get such good grades. Then again, maybe it’s not. In the United States approximately 45 million individuals (about one in five people over age 12) are infected with HVS-2.20 Furthermore, there will be up to 1 million new HVS-2 infections transmitted each year.21 With 45 million people in the United States suffering form herpes I believe that anything that can prevent these unfortunate people from future outbreaks should be looked at very seriously. 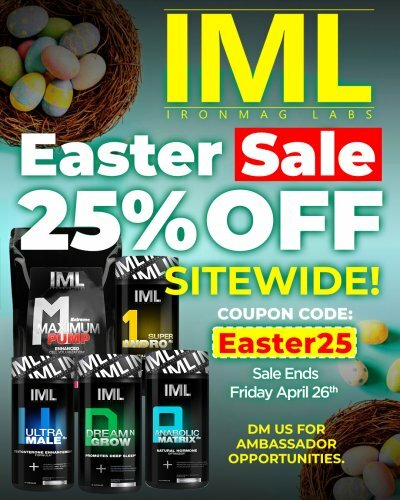 Muscle Building Nutrition CLICK HERE! (5) Balsom, P.D., Soderlund, K. & Ekblom, B. (1994) Creatine in Humans with Special Reference to Creatine Supplementation, Sports Medicine, Vol. 18, 4, pp.268-280. (7) Maughan, R.J. (1995) Creatine supplementation and exercise performance. International Journal of Sport Nutrition, Vol. 5, 2, pp. 94-101. (8) Wilmore, J.H. & Costill, D.L. (1994) Physiology of Sport & Exercise, pp. 97-98, 114 & 117. Human Kinetics: Champaign, Illinois. (9) Maddock R.J., Binder B.S., Carr S.N., Mckeith F.K., Berg E.P, Savell J.W. Department of Animal Sciences, Texas A & M University. 17 Sosin D.M., Sniezek J.E., Thurman D.J.. Incidence of mild and moderate brain injury in the united states, 1991. Brain Inj 1996 Jan;10(1):47-54. 7 Watanabe A, Kato N, Kato T. Effects of creatine on mental fatigue and cerebral hemoglobin oxygenation. Neurosci Res 2002 Apr;42(4):279-85 Department of Neuropsychiatry, Faculty of Medicine, University of Tokyo. 8 Ness S.R., McCarty M.F., Does supplemental creatine prevent herpes recurrences? Med Hypotheses 2001 Sep;57(3):310-2. Pantox Laboratories, San Diego, California. (11) Kreider, R, Melton, C, Hunt J, Rasmussen, Ransom J, Stroud T, Cantler E, Milnor P. Creatine does not increase incidnce of cramping or injury during pre-season college football training I. Medicine and Science in Sports and Exercise. 31(5): S355, 1999. (12) Rasmussen C, Kreider R, Melton C, Ransom J, Stroud T, Cantler E, Greenwood M, Milnor P. Long-term creatine supplementation during football training does not affect markers of renal stress. Journal of Strength and Conditioning Research. 13:431, 1999. (13) Nuttall, F. (1994) Creatine Supplementation, Athletics Coach, Vol. 28, 3, pp. 12-13. (14) Green A.L., Hultman E, Macdonald I.A, Sewell D.A., Greenhaff P.L. Carbohydrate ingestion augments skeletal muscle creatine accumulation during creatine supplementation in humans. Am J Physiol 1996 Nov;271(5 pt 1):E821-6. (15) Steenge G.R., Lambourne J, Casey A, Macdonald I.A., Greenhaff P.L. Stimulatory effect of insulin on creatine accumulation in human skeletal muscle. Am J Physiol 1998 Dec;275(6 pt 1):E974-9. (16) Steenge G.R., et al., Protein and carbohydrate-induced augmentation of whole body creatine retention in humans,” J Appl Physiol 2000 Sept., 89 (3): 1165-1171. (17) Kreider, R, Melton, C, Hunt J, Rasmussen, Ransom J, Stroud T, Cantler E, Milnor P. Creatine does not increase incidnce of cramping or injury during pre-season college football training I. Medicine and Science in Sports and Exercise. 31(5): S355, 1999. (18) Rasmussen C, Kreider R, Melton C, Ransom J, Stroud T, Cantler E, Greenwood M, Milnor P. Long-term creatine supplementation during football training does not affect markers of renal stress. Journal of Strength and Conditioning Research. 13:431, 1999. 13 Tarnopolsky M.A., MacLennan D.P., Creatine monohydrate supplementation enhances high-intensity exercise performance in males and females. Int J Sport Nutr Exerc Metab 2000 Dec;10(4):452-63. 20 Fleming DT, et al. Herpes Simplex Virus type 2 in the United States, 1976 to 1994. NEJM 1997;337:1105-11. 21 American Social Health Association. Sexually Transmitted Diseases in America: How Many Cases and at What Cost? Menlo Park, CA: Kaiser Family Foundation, 1998. 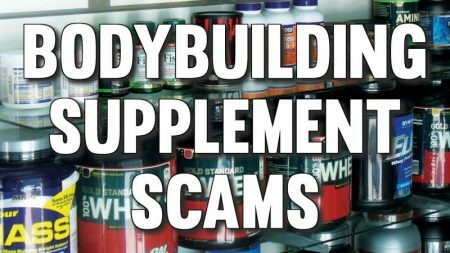 Should We Forgive Supplement Companies Who Scammed Us?